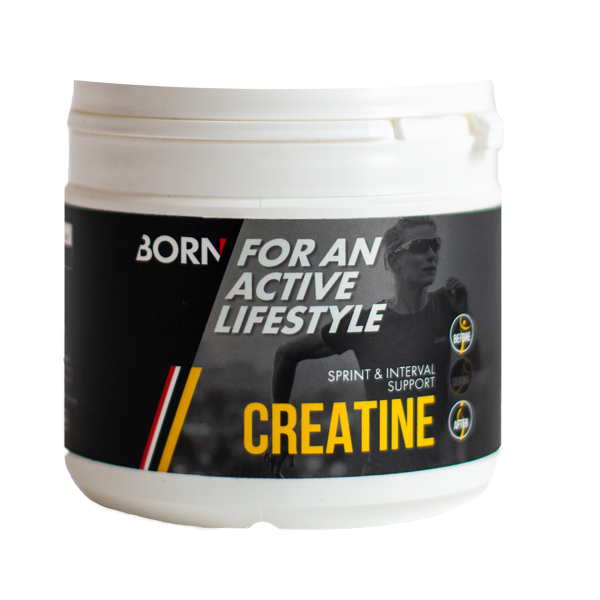 BORN Multi Vision is a dietary supplement for active athletes who demand something extra from their body. Multi Vision is full of vitamins and minerals. 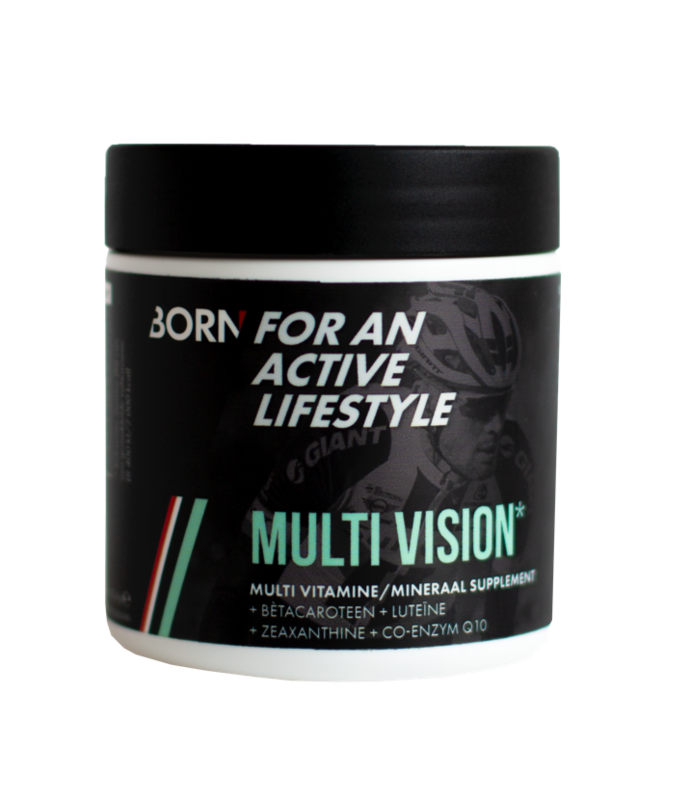 Multi Vision contains FloraGLO® (lutein) and OPTISHARP® (zeaxanthin). Lutein and zeaxanthin are antioxidants that have an important protective effect at the level of the retina of the eyes with longer preservation of good eyesight. Lutein (FloraGLO®) and zeaxanthin (OPTISHARP®) can ensure that your eyes get a higher tolerance for bright light. Examples that every outdoor athlete does know: getting in and out of a tunnel, camera flashes or glare by the sun or oncoming headlights. 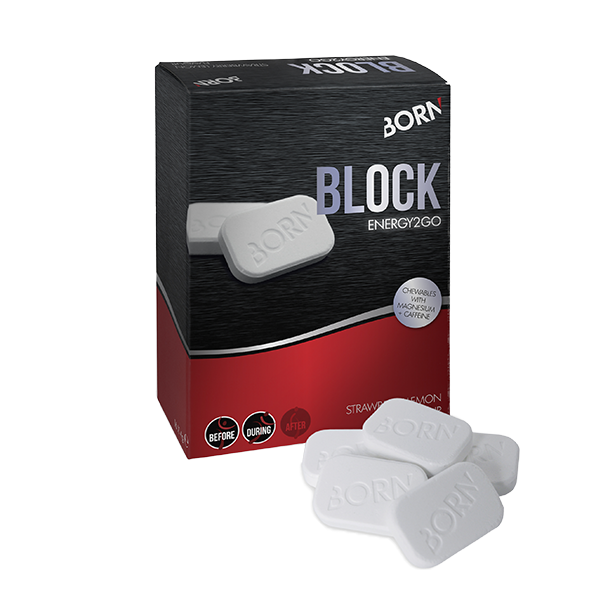 BORN Multi Vision is NZVT tested, so 100% free of prohibited substances and successfully tested by Team Sunweb. Capsule shell (pullulan), ubiquinone, lutein complex, inositol, bioflavonoid complex, choline bitartrate, D-alpha-tocopheryl acid succinate, zinc citrate, zeaxanthin complex, calcium-D-pantothenate, para-aminobenzoic acid (PABA), L-selenomethionine, anticacking agent (rice fibre), Methyl Sulfonyl Methane (MSM), beta-carotene complex, thiamin hydrochloride, riboflavin, chromium picolinate, cupric gluconate, manganese citrate, retinyl palmitate, D-biotin, pteroylmonoglutamic acid, sodium molybdate, methylcobalamin.